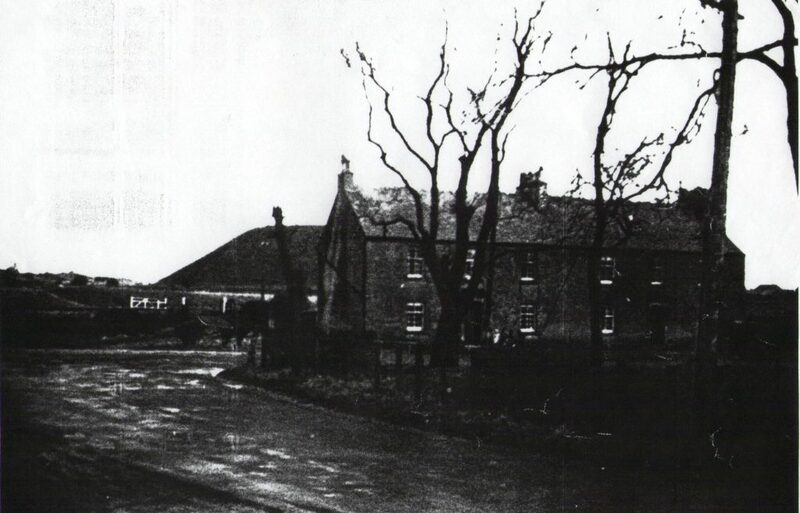 Barrmill, in the past, had a thriving industrial base. Located in the field in front of you was once the Dockra Ironstone Pit which operated from 1897 – 1921, mining ironstone for Glengarnock Iron and Steel Works. It employed over 100 men at its peak in 1906. There was also a roadside tenement, just along to your right, known as The Braefoot Building. The Braefoot Buildings, 14 – 16 Beith Road (1888 – 1956). Originally built for Robert Mackie’s Barr Pit and Brickworks labour, it later housed the Dockra Ironstone miners. It was a double tenement containing 12 flats. The ‘Braefoot’ was located at bottom of the brae leading out of Barrmill towards Auchenmade and Kilwinning. These tenements on Beith Road were originally built around 1888 by Robert Mackie of Craigvue, Beith for the pit workers at his Barr coal pit and brickworks near Gatend. There were also coal mines and a fireclay mine at the Barr pits. Mackie’s brickworks was open from 1888 – 1902. 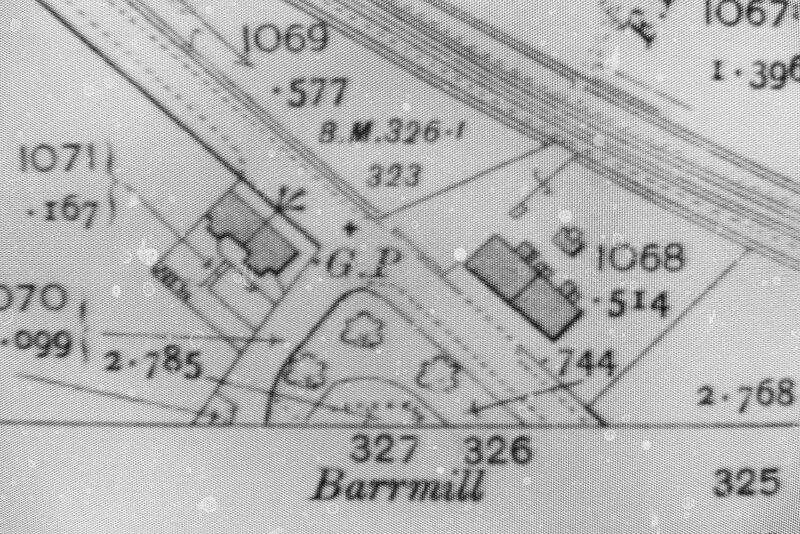 And by 1907, all the ‘Barr’ pits were closed too. 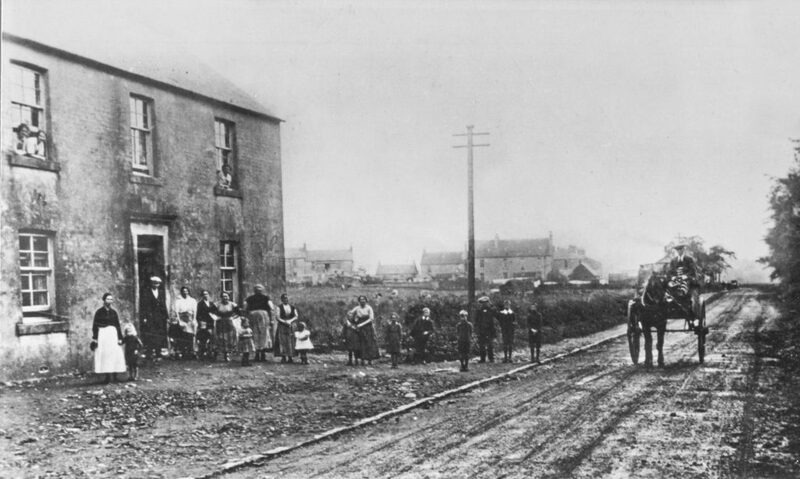 The Dockra Ironstone Pit opened in 1897 in the field just behind the Braefoot building, and the ironstone miners and their families became the new tenants after Mackie’s brickworks closed. This Dockra pit closed in 1921 at the time of the strike when the miners were locked out. The pit never reopened, even though it was not worked out. 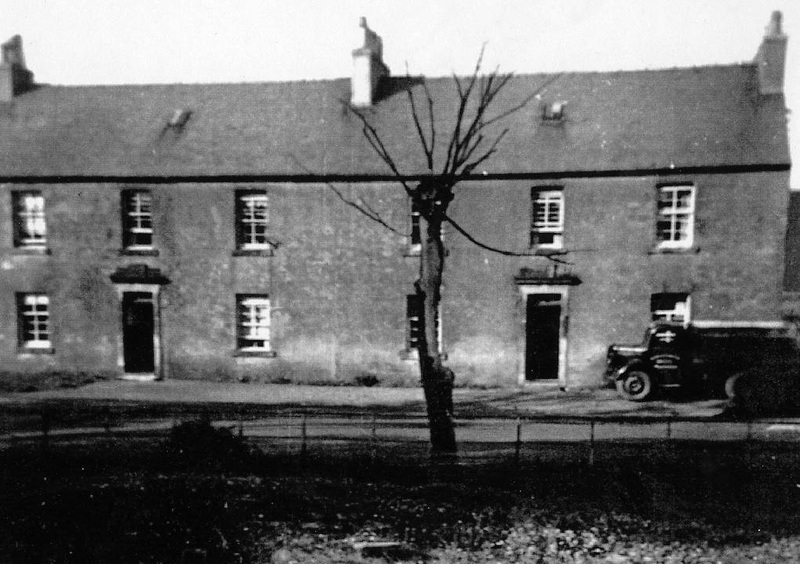 Many of the earlier residents of the ‘Braefoot’ moved into Craufurd Crescent when it opened in 1937. The Braefoot Building (14 – 16 Beith Rd) was demolished in 1956 as part of a general ‘slum clearance’ of older buildings. Nothing of it now remains apart from the gap in the roadside hedge. The pit bing is remembered by many youngsters of the day who climbed up it to fly their kites. A large bonfire was also constructed on top of the bing to celebrate the end of the Second World War and this was remembered by Isobel Hobkirk. This waste bing was fully removed by the end of the 1950s and the material was used in construction of the nearby Beith Defence Munitions base (originally a Royal Navy base and known locally as ‘The Admiralty’). The railway line and pit bing were located just to the rear of the Braefoot building. It is poignant to remember that neither the Dockra nor Birsieknowe ironstone pits were actually worked out, their demise being solely due to industrial action. In the future they could even be reactivated. This question was actually put to The House of Commons in 1952.